Western Canada's Premiere Comedy Producer. Laff Trax Comedy Theatre is one of the largest suppliers of professional comedy in Canada. In addition to running the largest comedy tour in Saskatchewan and Manitoba's history, we are producers of The Great Plains Comedy Festival and The Great Canadian Comedy Extravanganza. Our comedians are among the best available and many have international film, television and stage credits. 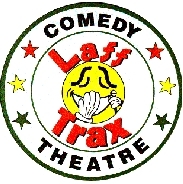 Laff Trax Comedy Theatre has supplied comedians for every comedy club in Canada as well as over two dozen in the United States. Our comedians have performed private functions for The United States Air Force, the RCMP, McDonald's Restaurants, Kraft-General Foods, Nestle, Molson Breweries and hundreds of other corporations. If you're looking for the best in live stand up comedy, you've found it with Laff Trax Comedy Theatre. 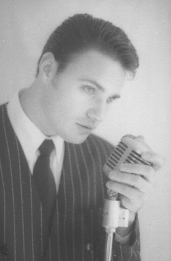 We feature some of North America's top comedians.